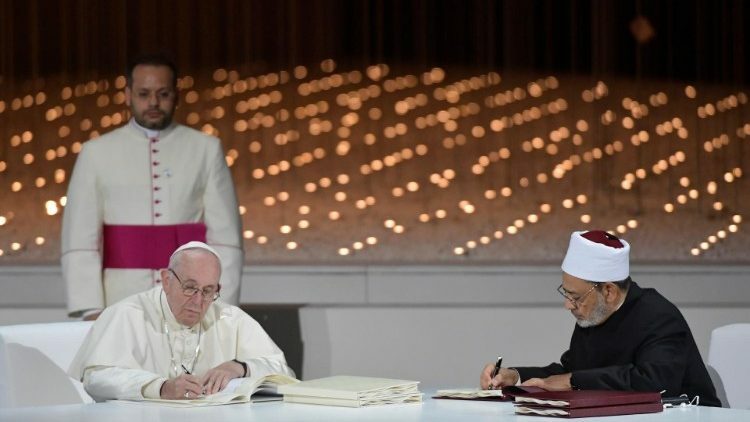 Al-Azhar’s Grand Imam suckers Pope and international community in joint declaration……. – The Tundra Tabloids……. 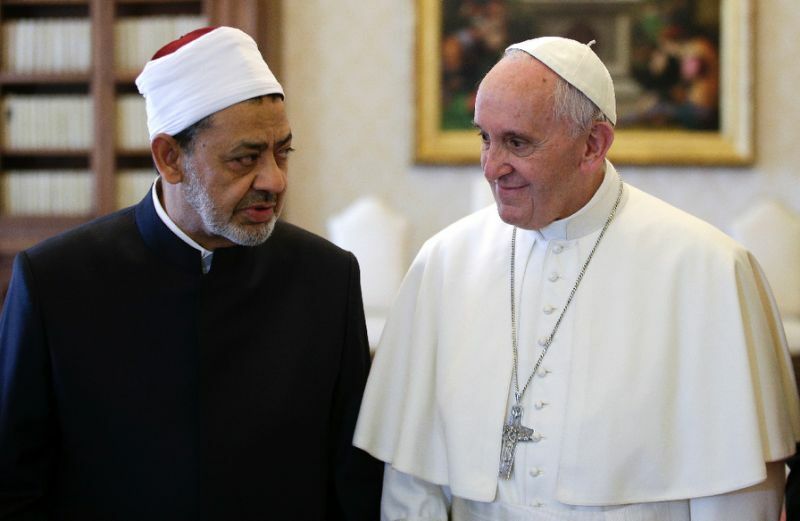 This is why the Grand Imam of Al-Azhar University, the central seat for all Sunni Islam thought and orthodoxy allowed himself to be seen and heard in a joint declaration with Marxist Pope of Rome. The Pope is a Leftist dhimmi, who allows both himself and the vanguard of the Catholic Church to be suckered in (fooled) by Islamic apologetics and dissembling. The Islamic concept of both ‘terrorism’ and ‘innocents’ is completely different from the Western concepts of the terms. Anyone outside of the Islamic ideology deemed to be hindering the advancement of Islamic supremacy is not an ‘innocent’, and the violence meted out to correct that violation is not illegitimate use of force, at all. The use of terror, as seen in the Islamic State’s horrifying stream of shock videos is proof of that understanding, and in full compliance with Islamic orthodoxy. The Grand Imam is playing the Pope and the Catholic Church and the international audience for suckers. He’s paying lip service to a document that will be taken as a ‘God-send’ in the West. The latter will further drop its guard while the former flexes for the knockout punch. Previous Post Previous Post J.E.Dyer: Migrant caravan within a day of unfenced border area in Texas……. Next Post Next Post Al-Shabaab’s ‘sister’ in the House…….